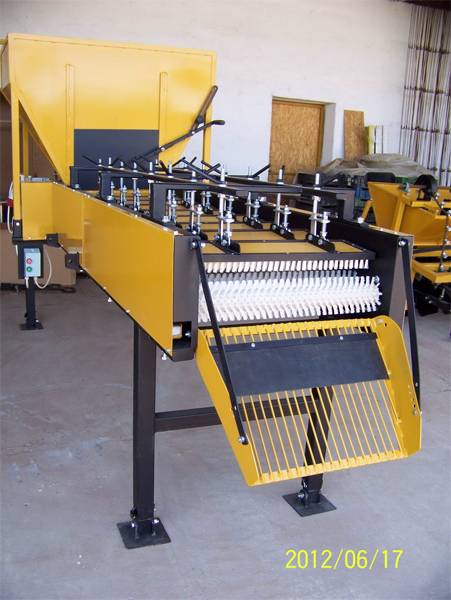 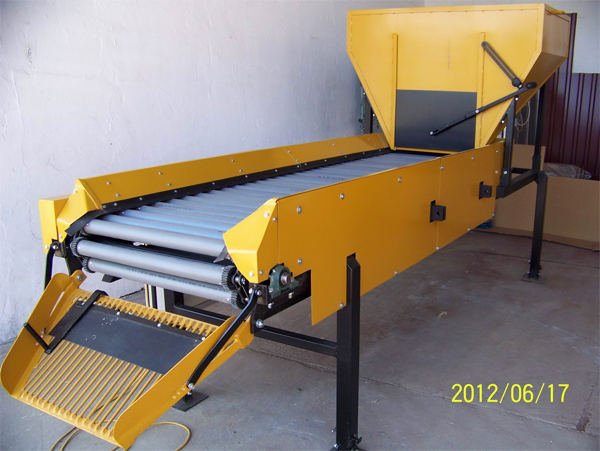 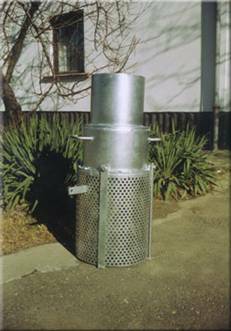 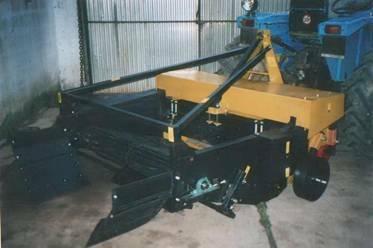 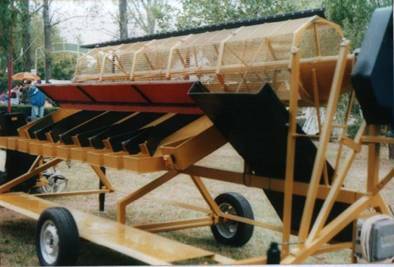 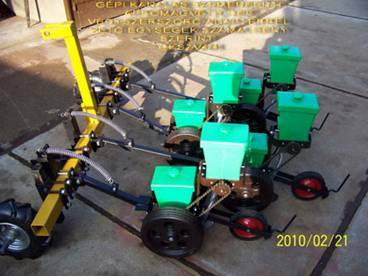 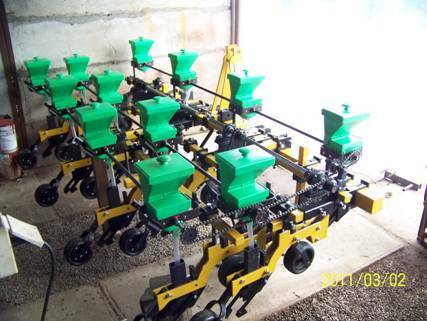 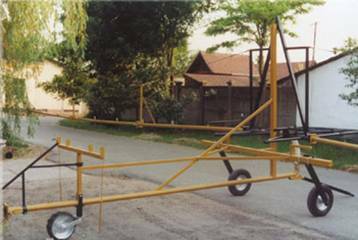 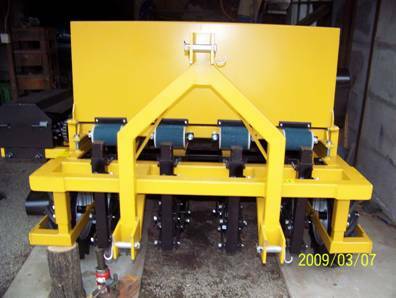 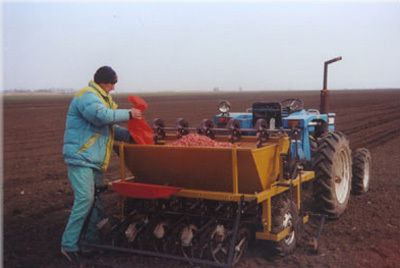 Due to their design the onion seeding machines are suitable for the seeding of garlic, seed onion as well as tulip bulbs, acorns, nuts etc. 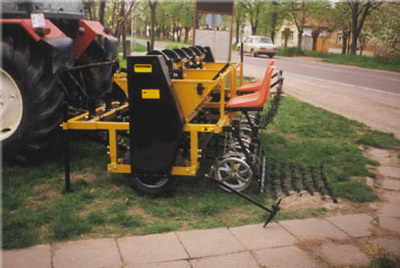 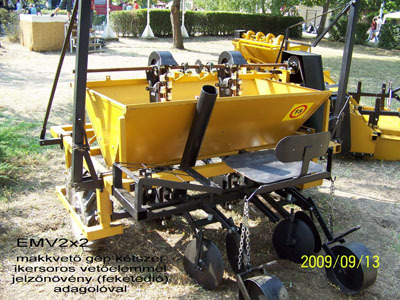 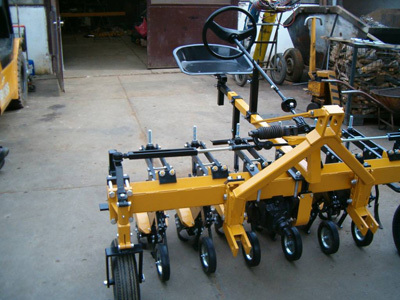 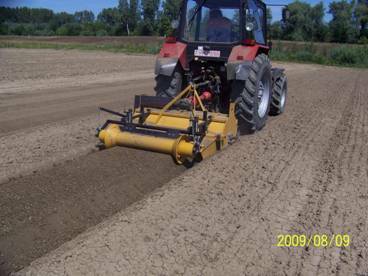 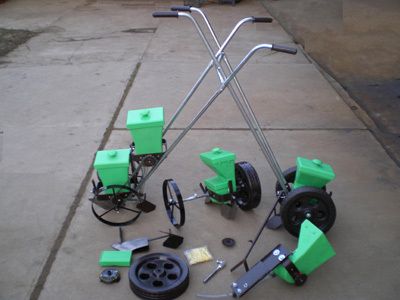 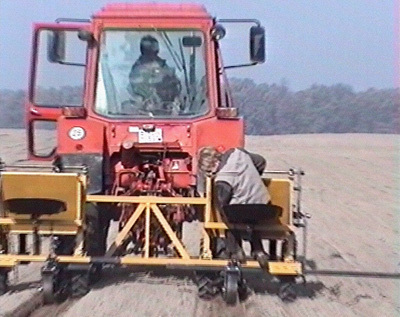 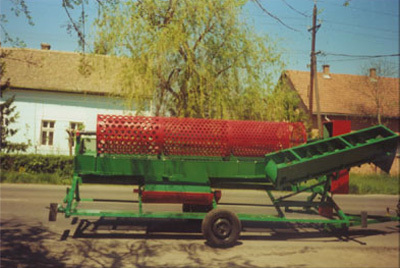 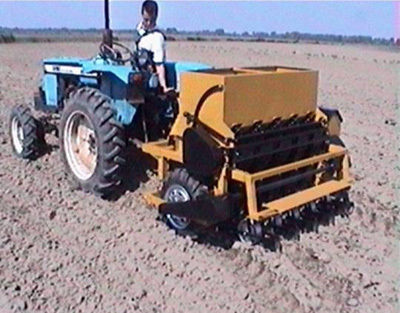 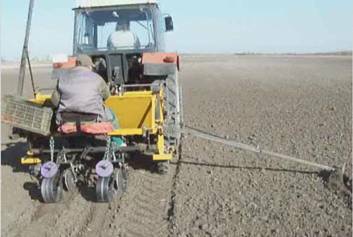 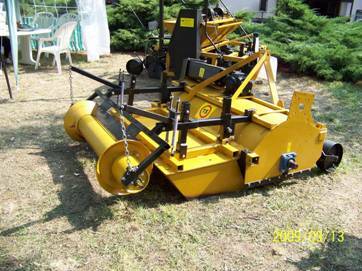 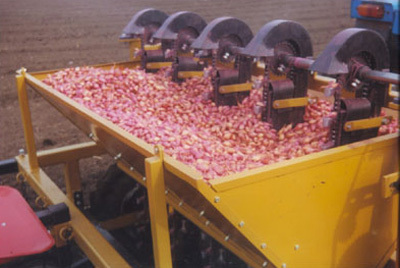 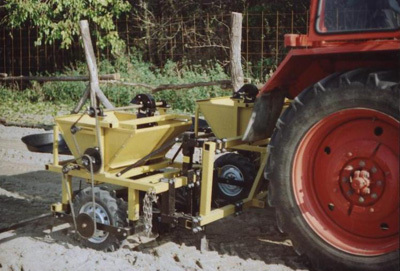 The machine can be operated with a bowl-feeder or with a chain-scoop-feeder so that it places the garlic-clove, the seed onion or the other kinds of seed into the beds opened by the furrow splitters (hoe coulters). 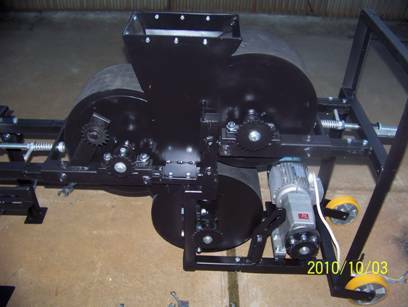 The bed distance is constant, but we have already manufactured machines with adjustable bed distance. 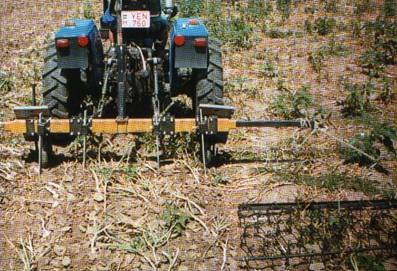 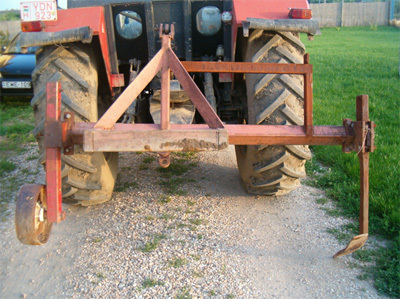 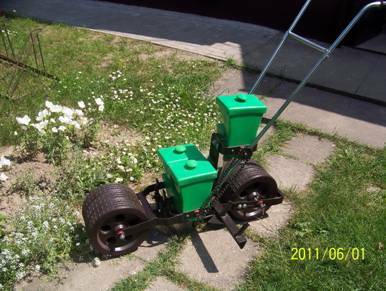 The root distance can be modified with the change of the chain wheel driven from the land wheel. 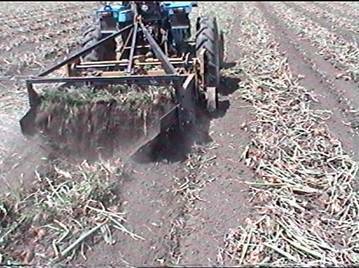 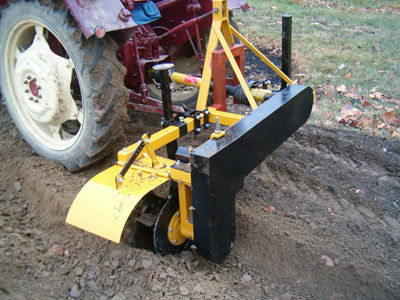 After the furrow splitters there are compacting wheels ensuring the proper compactness of the mulch and the quality of the planting. 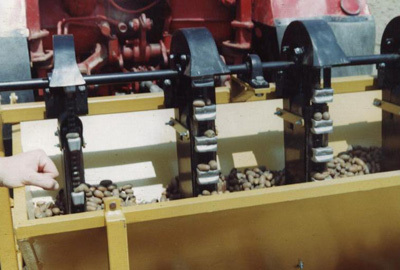 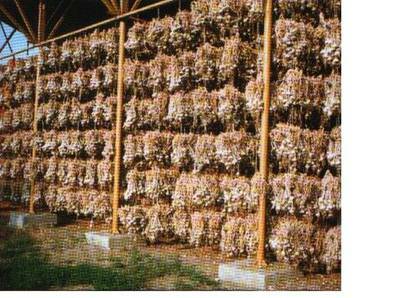 The garlic-cloves or the seed onion is to be placed in the tank case of the machine, from where they are picked out by the scoops fixed on chains. 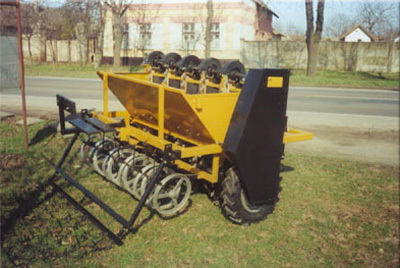 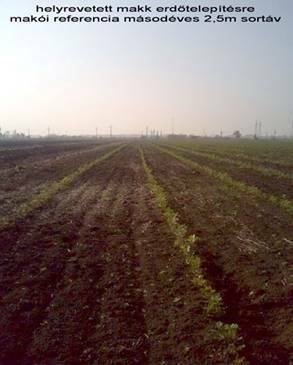 The seed comes into the soil in an adjustable depth of about 5-12 cm-s into the furrows opened by the splitters in the determined root distance. 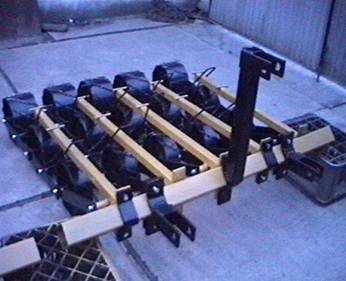 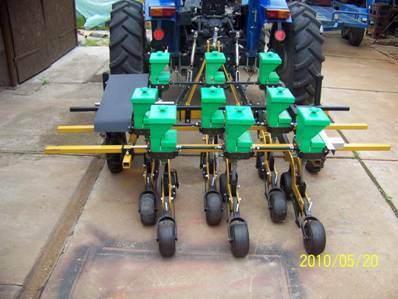 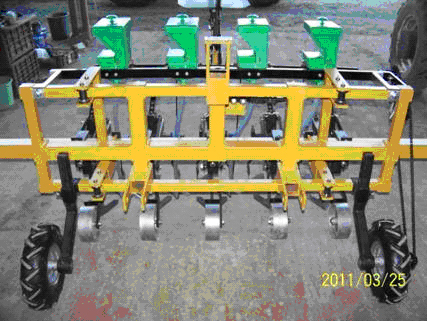 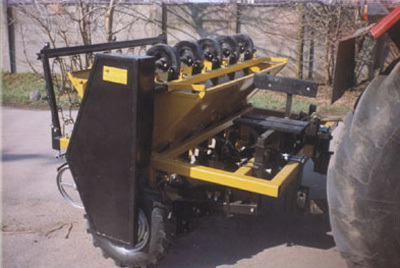 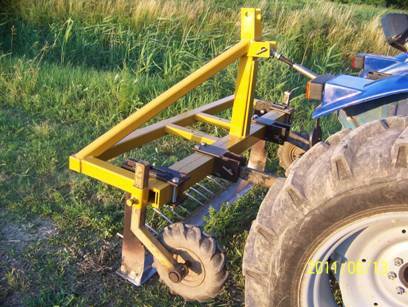 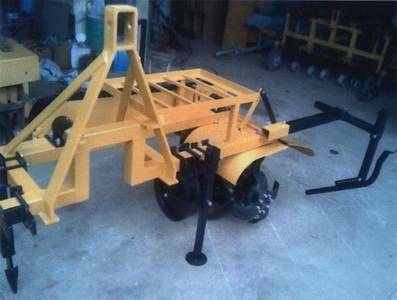 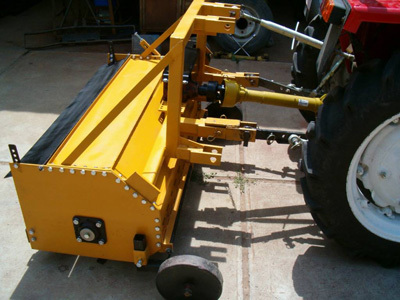 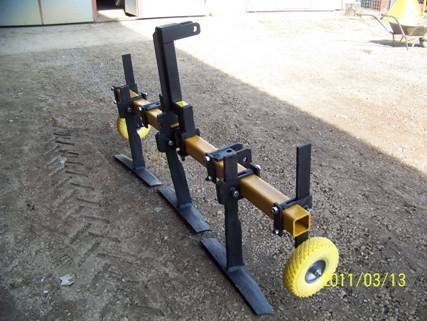 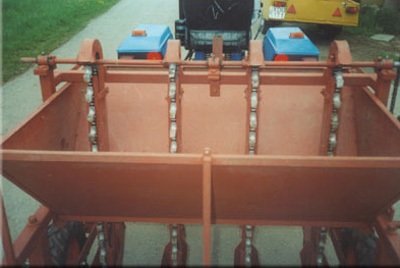 The furrow splitters can be adjusted vertically and horizontally with screw fixing. 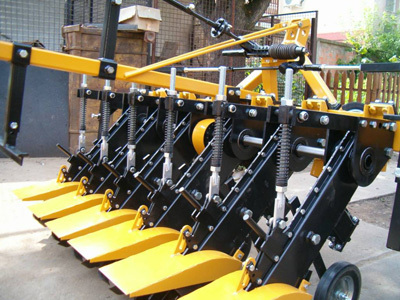 The jointed construction, the spring take-up and the adjustable depth-keeping lines of sliding eliminate the unevenness of the soil. 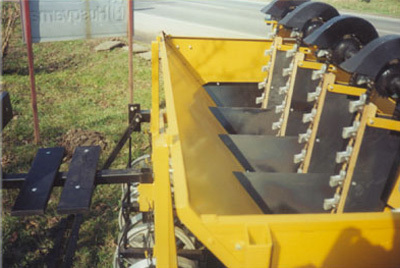 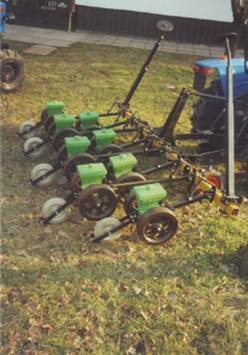 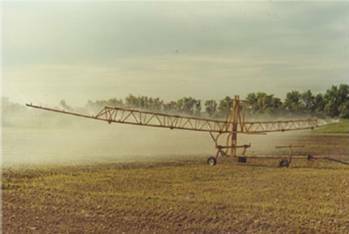 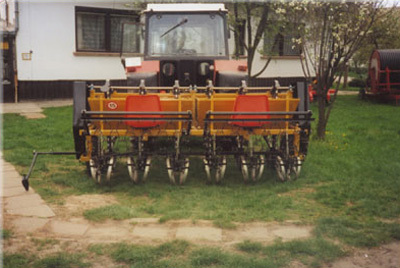 The bedding lances equipped on the front of the machine frame serve the loosening of the soil in front of the furrow splitters on the overcompacted soil (or in case of big draughts and barrenness on the cloddish, lumpy soil). 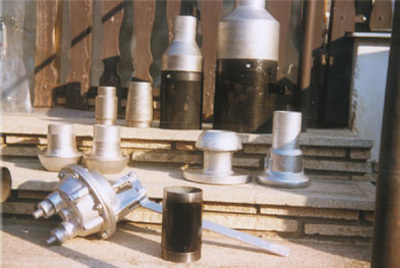 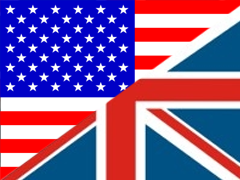 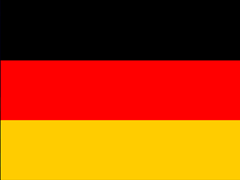 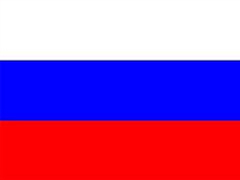 Thus even under very bad circumstances the work can be done - after the disassembly of the fine adjusting constructional elements. 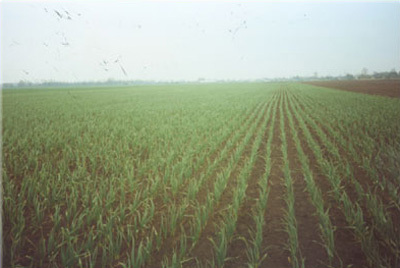 (The data above are variable) . 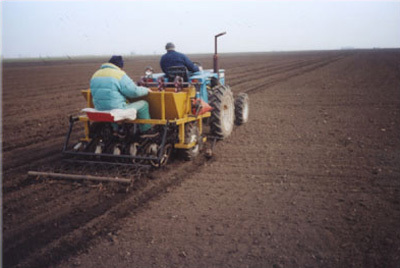 (Depends on the number of rows) . 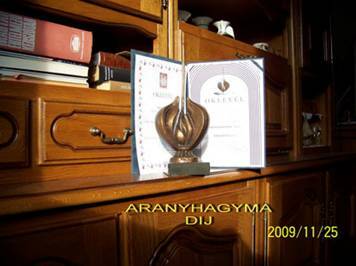 Oldal generálási idő: 0.008986 másodperc !